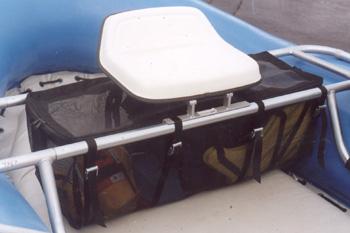 Under Seat Storage for Rafts and Catarafts. . . If you want to make use of that space under your seat, this Mesh Drop Box works great. The top on either side of the seat has a zipper for easy access and security - in case you have too much fun and flip over! 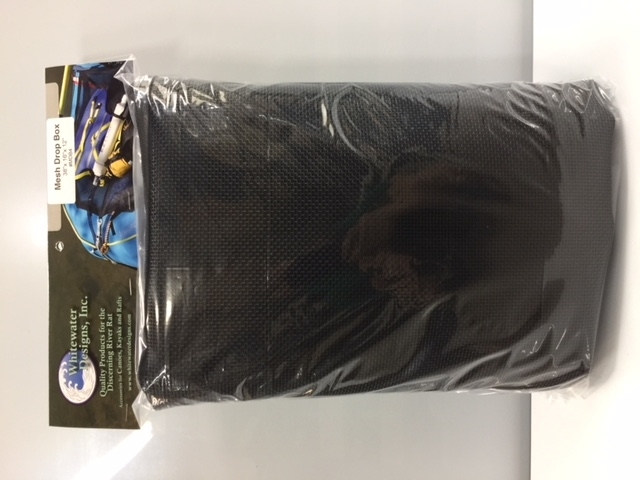 This bag drops right in to a 38" x 16" opening but has the flexibility to go in a slightly different size opening.